Class “A” paint optimization is possible, and easy! Industrial process, in order to be effective and consistent, must be formulaic and repeatable. Quality control is impossible when a process isn’t repeatable. Quality variation is the bane of process and manufacturing engineers, QC staff, plant managers, CFOs and by proxy CEOs. If you have process variation when manufacturing an engine or transmission, airbag systems, brakes or other critical components, millions, or maybe even billions of dollars could be at stake. Lives could even be at stake. There is one area of manufacturing that persistently struggles with quality control, and the losses due to the problem run into the millions of dollars, per plant, on a regular basis. Perhaps it’s due to the fact that there’s no real danger associated with the issue, and safety concerns in other areas of manufacturing take precedence. Though, a case could be made for safety in the workplace, and environmental concerns due to exposure to excessive VOCs in this area of discussion. A case could also be made for the “danger” of lost market share and profits. Paint process is the topic. Paint process can be very wasteful and troublesome. If the costs were tracked, and the available ROI, for process optimization equipment, were calculated, the paradigm would shift, but first the problem has to be recognized, and in most cases, it isn’t. The problem is primarily in class “A”, solvent based paint finish. It’s pervasive in OEM and Tier automotive painting but it applies to just about every industry that paints products. Coil-coating, consumer goods, electronics, furniture, even caskets. If you walk into five hundred facilities that paint products, you’ll likely see five hundred completely different paint application processes. 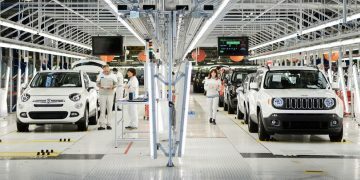 While there are nuances to different industries, products and the paint process required to hit manufacturing schedules, there aren’t five hundred unique processes required. The reason for the incredible variation in paint process is the fairly expansive product development agendas from the companies that provide equipment used to paint things. Due to a constant list of quality complaints from customers, equipment companies strive to innovate and address issues. Unfortunately most innovation fails to take into account the root cause for the vast majority of quality issues in paint process. Uncontrolled process variability factors! Regardless of the equipment and the accuracy that it can provide, there is a constant variable in any system that moves, delivers, applies or sprays fluid. Viscosity is a constant variable, because fluid temperature is a constant variable and temperature equates directly to viscosity in virtually all fluids. 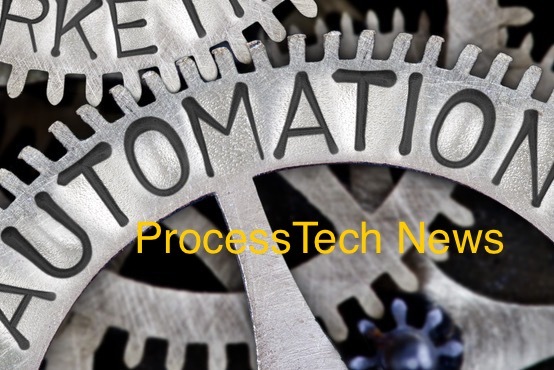 This doesn’t matter for some processes where accuracy isn’t critical, like pumping pudding, cosmetics, crude oil, or sewage, but for any process that requires a high degree of accuracy to operate as designed, viscosity variation is a huge concern. So the vast majority of innovative equipment in paint process, used in hopes of controlling quality, is often pointless or at least ineffective once viscosity changes. A carefully designed process, using a “great” new innovation, is thrown a curveball every time this changes occurs, and all bets are off. So a new bit of tech is added to the process, and then another, and then another until the process is so unique and so finicky and so “one off” that only a few people ever have even a snowball’s chance of successfully keeping it operational. The result is usually “tribal knowledge”. Sole-sourcing of esoteric equipment also results. Process “black magic” performed by the company paint guru is the only way any success is achieved. Highly complex metering devices, paint heaters, high tech guns, valves and a witch’s brew of paint and solvent is used, with seasonal variations. HVAC units to deal with the ambient conditions and many other “solutions” are employed in hopes of saving the process. The list goes on and on. The guru is kept very busy running back and forth, chanting, waving chicken bones and effigies of the plant manager, adjusting dials and valves, kicking pipes, speaking in tongues. It’s the paint process equivalent of Chitty Chitty bang bang. It’s very common for paint facilities to accept 70-75% first pass yield. And the guru is heralded in this achievement. This level of inefficiency would never be accepted in any other manufacturing process. It’s not the guru’s fault. He or she actually is the savior. With the right tools though, the guru could do much better. Customers try to adjust viscosity with expensive cutting solvents, which cost a lot, add volatility to the paint which results in color match issues, paint defect, more difficulty in achieving a result and additional permitting costs…and fewer parts per barrel of finished goods, not to mention the additional labor and time needed to perform the viscosity adjustment exercise. Most painters also buy virgin paint in barrels that is “pre-cut” with too much solvent, often in “seasonal” mixes, further limiting their parts per barrel potential. Point of application viscosity control is the ONLY solution to the problem. By controlling the temperature of the paint, near the point of application, and by using a paint/solvent recipe that DOES NOT change from day to day, a consistent, repeatable result can be achieved. 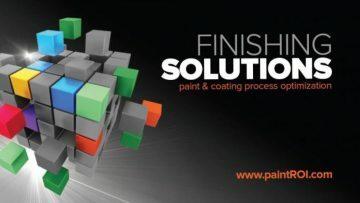 There is no better way to optimize a paint process for quality and cost efficiency. Everything upstream from the applicator can be simplified and in most cases 90-95% first pass yield is the norm. Orange peel, fish eyes, sagging, color mis-match, over spray and dry spray can all be eliminated easily and quickly. 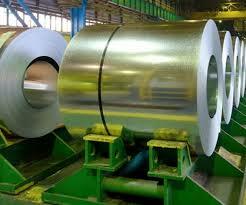 Solvent use, paint use, emissions, quality defect and labor is reduced. Pig-able, single pipe paint systems, using new high efficiency pumps are a very close second in terms of process optimization, especially for customers that use many colors, but a lot of finish variability will still occur without point of application viscosity control. Viscosity control IS temperature control. This does not mean paint heaters, which can only ever add heat and energy to a process, and it’s not ambient temperature control which has almost no controllable effect on flowing paint viscosity and is usually a big contributor to wild variability. It’s also not finicky metering systems which add energy, shear paint, and do lose accuracy with viscosity change…and can create paint dirt. They have their place, but it’s not in quality control. A proper viscosity control system utilizes temperature control devices located near the spray device, whether bell or gun. It uses processor controlled heat AND cooling to hold a set point of +-1 degree F typically. The entire system is designed and sized to match the individual process particulars. It allows the user to “dial in a result” and then get the same result day after day, month after month, simply and easily. The elimination of variability is the key. With some paint, 1 degree of temperature change can equate to 2-3 seconds of viscosity change, and that correlation can change further at the higher or lower ends of the scale. Most material can easily change temperature by 10 -12 degrees, moving from the paint kitchen to the applicator. From the time a drum of paint gets delivered to a plant, the material within experiences many temperature variations. In the winter the material comes in cold, in the summer it’s probably pretty hot. Most users have an area where paint is held to “acclimate”, but busy production schedules often mean that paint is put on line before it has acclimatized . Even if it is conditioned to the plant’s standard, there is almost never a temperature reading, only viscosity. Viscosity is almost always “adjusted” by pouring solvent into the mix and taking measurements in the paint kitchen until an acceptable time is achieved. (Viscosity being typically measured in “seconds” it takes to flow out of a given cup size, through a given aperture size). Most process people require an hour at least, every morning, to measure and adjust all the paint, before the line can start. The worst part is that this doesn’t solve the problem they’re hoping to solve, and usually exacerbates it. Once the paint is brought on line it is agitated with a propeller, it’s recirculated with one of the numerous types of pumps in the industry. It’s circulated through constrictive piping, creating friction, often up into the ceiling area or near an oven, (the hottest parts of the plant), often having been piped through paint heaters that operate on vague rheostat type controls, then through manifolds and valves before ever seeing a part. A large amount of the paint is then recirculated back through the entire process, all of which adds energy and heat to the fluid, changing its viscosity….a lot. It’s why most painters have some minor daily quality variation, and typically have big seasonal variation and almost always need to “try out” the system, creating scrap at the start of the day to dial the process in to an acceptable result. The associated costs for this inefficiency and scrap, when tallied accurately and honestly, are staggering. 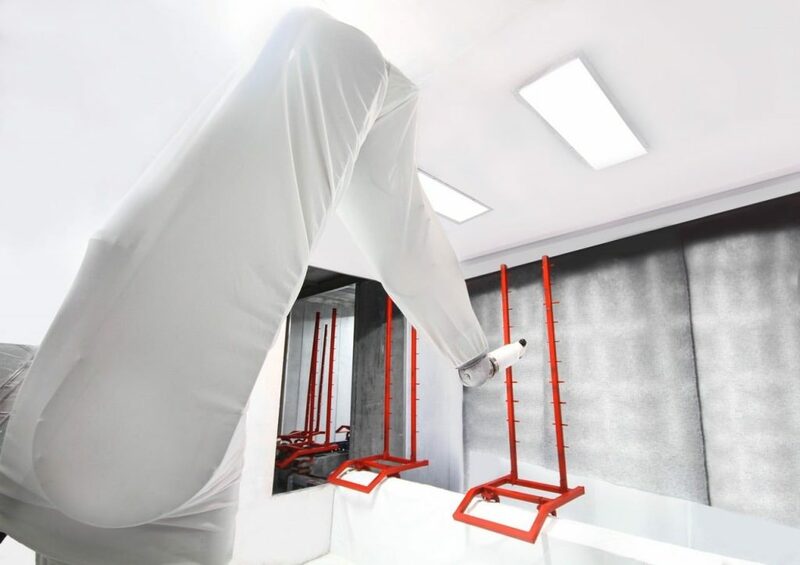 Most painters can EASILY save 20% of their annual solvent use, 10% emissions/permitting costs, 40-60% labor to monitor and adjust paint viscosity and adjust the process in the paint booth. They can usually increase first pass yield by 15-25% and get 5-10% more parts per drum of paint. Put dollar amounts on those very realistic figures if you’re a painter. You’ll be blown away at the implications. Most viscosity control systems are justified, by ROI, with ONLY the first pass yield quality improvement numbers, because it doesn’t take any investigation to identify that cost, AND because the savings in just that one column is justification enough. One or two month ROI savings are not uncommon. The funny thing is that many paint process people are too vested in the numerous “technologies” that have been tried before, that they are resistant to the simplicity of viscosity control, and usually don’t want to know what the avoidable loses add up to, or just don’t believe it’ll work….it can’t be that simple, but it is. Once they do the math, the capital request for simple viscosity control equipment, usually gets pushed to the top of the list for plant improvements. Company profitability charts ramp up with Mt. Everest like inclines. Paint process and quality control people get hoisted onto the shoulders of their coworkers, plant managers are praised at corporate retreats, the OEM customer is ecstatic and most importantly, the consumer, you and I, get a vehicle with a better finish and our 401Ks make money because of the “smart” companies in our portfolios! Win, win, win. If you’re a painter of products, do yourself a favor and investigate a viscosity control system for your process. For more information, Detroit area based Finishing Solutions Inc. provides viscosity control consulting and equipment.